Looking to complete a triple room with Greg. 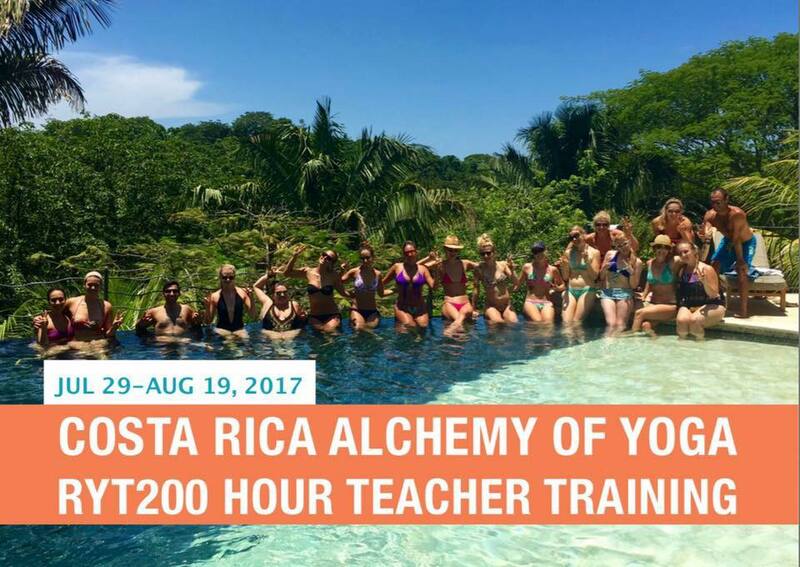 This program is recognized by Yoga Alliance as a Registered 200-Hour Yoga School and offers you a unique opportunity to make a deep commitment to learning more about yourself. This soul-dive takes place in a safe haven: a nurturing environment to engage in open minded self-exploration. 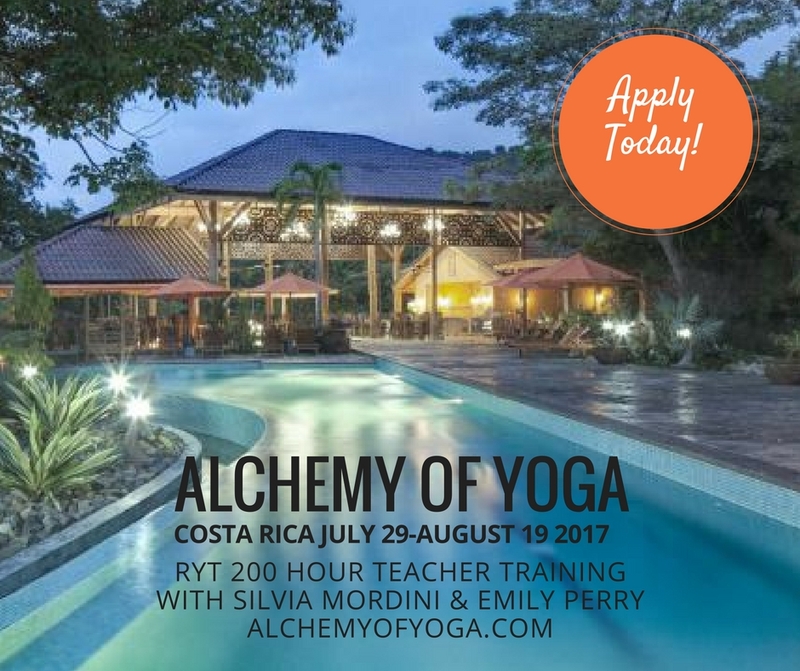 Silvia Mordini and the Alchemy of Yoga team are devoted to offering you an atmosphere in which freedom of expression, fun, creativity, and passion for life are totally encouraged! This program covers the foundations of the eight-limbed path of yoga and believes in yoga as a life-long truthful celebration of ourselves and our world. Deposit is refundable up to 90 days in advance. Yoga is about wholeness, health, and vital living. It is about a life inspired in body, mind, and spirit. Through movement, meditation, discussion, and journaling, we will explore the vast resources related to How to Live an INSPIRED Life by focusing on the last three niyamas or personal practices that comprise the Alchemy of Yoga. These are necessary for bringing about real, lasting change and cultivating inner happiness and spiritual bliss. Experience the alchemy of the five elements, the four directions, and the chakra system as an inner and outer map of transformation. These are archetypal and energetic maps that are as metaphorical as they are very real and embodied. Everything we see, taste, touch, feel, and do can be interpreted through the gateway of the elements, directions, and chakras. We will learn how to tap into these sacred relationships and align ourselves with their alchemy in order to gain insight into healing our psyche, emotions, and well-being. WHAT IS ALCHEMY OF YOGA? Something magical and mystical happens when a group of high-intentioned individuals make the decision to gather together for two-hundred hours with the purpose of uplifting their lives and expanding consciousness into radical authenticity. Physical Alchemy – Tapas: Ignites the changes we want to make in our lives. It is about the getting fired up and passionate. Literally it means heating the body through moving and breathing in the vinyasa. Mental Alchemy – Svadhaya: While we are following the discipline of tapas and engaging in physical practice to help move our stuck energy we are watching ourselves. In yoga we study the self to learn about the self. Here the mental alchemy is through self-observation. We witness what is going on in our thoughts, what are we thinking. We tune in to our intuition to enhance clarity and harmony between what we think, say and do. We remember to remember who we really are. Through this, our ego softens from being I centered to seeing our interconnectedness to all things, people, nature, energies. We humbly realize our nature of union in this interweb. Spiritual Alchemy – Ishvara Pranidhana: As we are doing and watching, we let go of the ego of judgment. We move beyond wanting life to be different and begin to feel the surrender that allows what is being offered to mix together. We practice ishvara pranidhana as we trust the universal intelligence that hugs us from all directions to know what it is doing. Once we find this trust, we begin to believe that beauty and goodness are within us flowing non-stop. We understand that there is no reason to stop this flow for its natural current is to align with the current of grace that is everywhere outside us. Beauty becomes our way of life. Happiness becomes our natural alchemy once again. What Makes a Real & Authentic Yoga Teacher? What Makes a Real and Authentic Yoga Teacher? A recent NY Post article calls out some of the worst case scenarios in how humans teach yoga. On the one hand, we could simply disregard the article for being snarky and provocative. But on the other hand, there was some truth there too. Too often, and more and more over the last twenty years, yoga teachers with great intentions are parroting misinformation about the practice to students. This mimicry stage might at first be necessary for initial growth, but soon after, individuation must take place whereby the teacher actually knows why they are saying the things they say. Here’s the Truth Not all yoga teachers are the same. Not all yoga schools are created equally, even if they are Yoga Alliance approved. Not all Yoga Alliance-certified yoga teachers have the foundational knowledge to be leading others in a practice that is physical, emotional and spiritual (whether you want it to be or not).